A Burnley FC fan who made pre-match knife threats, bragging about his “mate Stanley” and slicing someone’s face with it, could be facing jail. Drunken Jason McCabe struck at the busy Brickmakers Arms pub on Yorkshire Street, in the town, before the Clarets’ game against Tottenham Hotspur last December 23rd. Burnley magistrates heard how a witness was in the smoking area at the back of the premises when McCabe went out and made the threat. The customer knew a Glasgow kiss was a headbutt and McCabe was asked if he was referring to a “Chelsea grin” – cutting a smile-shape in the cheeks. McCabe was thrown out and searched and a craft knife with the blade showing was found in his jacket pocket. When he was questioned by police and asked where he would put himself on a scale of 1 to 10 for drunkenness, he said he was about eight. 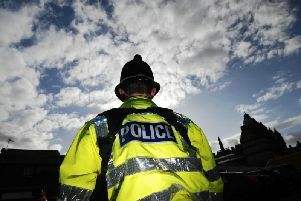 The 46-year-old defendant, of Stockbridge Road, Padiham, admitted possessing a blade and using threatening, abusive or insulting words or behaviour. He was committed on bail to be sentenced at Burnley Crown Court at the end of February because of the “dangerous circumstances” of the outburst. Prosecutor Mrs Tracy Yates told the hearing a member of the door staff heard McCabe in the beer garden, talking about his “ mate Stanley,” and tapping his left breast pocket. The bar manager decided not to serve him as she had been told he was bragging about having a knife and cutting someone. Mrs Yates said when the defendant was interviewed and asked about a Glasgow kiss, he said it meant to put a blade in the mouth and slice it into the cheeks.